A water heater’s control valve should typically be set to 150 degrees F. or lower. Water heater problems normally become self-evident. For example, you turn on a hot water faucet and it fails to summon hot water. Or you see water dripping or puddling near the water heater. Or the water heater tank makes strange pinging and gurgling sounds. If any of those things have happened, this article will help you troubleshoot and repair the problem. Though some gas utility companies will solve problems with a gas water heater’s gas supply, they won’t fix other water heater problems. Either you fix it yourself or you call a pro to repair it. Calling a pro often means waiting a day or two without hot water and then paying a healthy repair bill. Consequently, it helps to know how to solve basic outages yourself, as discussed below. For more difficult issues, you can find a qualified local water heater repair person through our affiliate partner, HomeAdvisor. No hot water is by far the most aggravating problem with a water heater. This means the water heater is not working at all. In most cases, it isn’t working because the energy source—typically gas or electricity—is not producing heat. Repairing the problem of no hot water will depend on the type of water heater you have: gas or electric. Though gas water heaters and electric water heaters look very similar, they heat water differently. And the equipment they use to turn energy into heat is not the same. If you’re not sure whether your water heater is gas or electric, look for a flue (round chimney pipe) at the top. A flue indicates that the water heater is gas. An appliance that burns a fuel such as gas or propane must vent the combustion gasses (exhaust) to the outdoors through a flue. In addition, a gas water heater has a burner (like a gas cooktop) at the bottom, typically behind a small metal viewing door. An electric water heater, on the other hand, doesn’t burn fuel and produce combustion gasses, so it doesn’t need a flue at the top. It does, however, need an electrical hookup that connects to an electrical circuit breaker in an electrical panel because it has electric heating elements inside the tank. Gas water heater repairs. If you have a gas water heater that doesn’t heat the water enough or at all, or one that has a pilot light that won’t stay lit, please see Gas Hot Water Heater Problems & Repairs. Electric water heater repairs. If you have an electric water heater that doesn’t heat the water enough or at all, please see Electric Hot Water Heater Problems & Repairs. 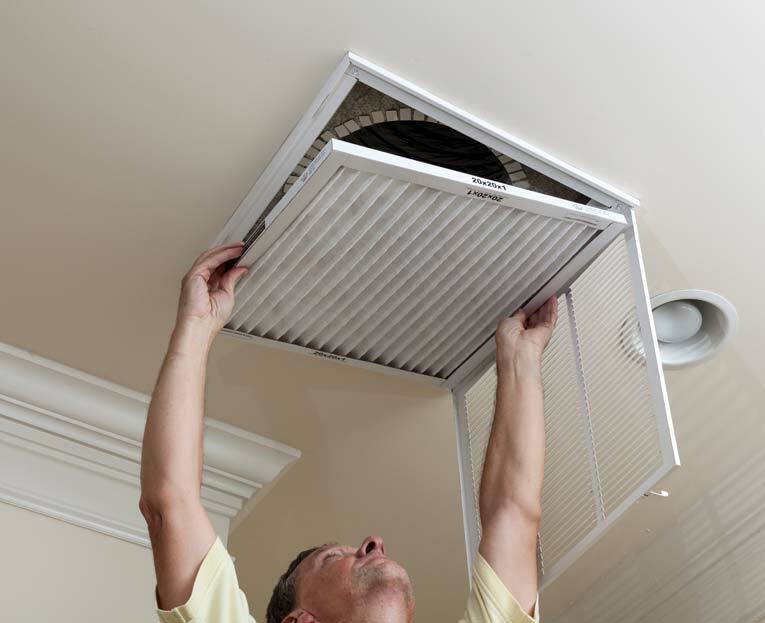 On this page, we’ll help you troubleshoot and repair problems that are common to both gas and electric water heaters. One of the most common water heater problems is that it doesn’t produce enough hot water. Before you do anything else, adjust the temperature dial on the front of the water heater. Wait a little while, then check the water temperature at a faucet. If adjusting the temperature dial doesn’t do the trick, try the water heater troubleshooting methods below. If it seems like you never have enough hot water in your home, your water heater may be too small. If the problem is chronic—or if you’ve increased your needs for hot water by installing a big new soaking tub or high-flow shower head—you’ll probably need to get a new, larger water heater—see our Water Heater Buying Guide. Be sure to look into tankless water heaters because, with this type, you never run out of hot water. If your water heater suddenly seems to supply less hot water (you’ve had enough hot water in the recent past but not now), first check the dial on the water heater, as discussed above. 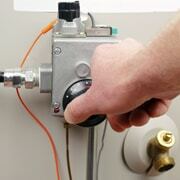 Then continue with the following water heater troubleshooting advice. NOTE: If outdoor temperatures have dropped significantly, your water heater must work harder to heat-up and maintain the cold inbound water. Also, because the water cools more as it travels through pipes that run through unheated spaces, you’ll need to adjust the water heater’s dial to a slightly hotter temperature. Make sure your water heater doesn’t leak—check around its base for signs of water. If neither of these issues are the problem, flush the water heater tank to clear out mineral deposits that reduce the heater’s efficiency. Attach a hose to the water heater’s drain valve and empty the tank. Test that the temperature-pressure relief valve, by lifting and lowering its handle. Water should drain from the overflow pipe. This valve keeps pressure from building up too much in the boiler. 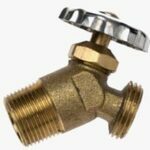 If it doesn’t work, see How to Replace a Water Heater TP Relief Valve. If these measures don’t do the job, the dip tube that supplies cold water to the tank may be broken or cracked. This plastic tube is supposed to direct cold water to the bottom of the water heater tank, but, if it breaks or splits (which commonly happens over time), cold water pours in at the top of the tank and mixes with the hot water that is on its way to the hot water pipes. Either have the dip tube replaced by a water heater repair pro (HomeAdvisor), or, if the water heater is out of warranty and showing other signs of age, consider replacing it—a new water heater is likely to operate more efficiently. 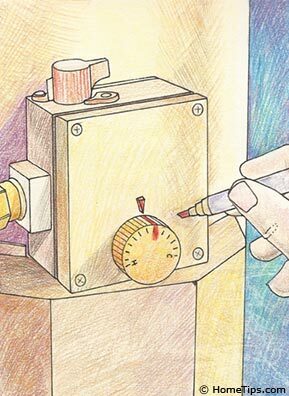 Mark the water heater dial and adjust it to a lower setting. 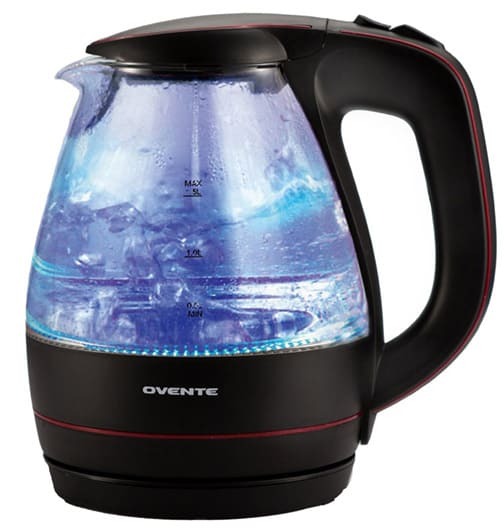 If steam or excessively hot water shoots out of faucets, or you hear boiling sounds inside the water heater, the appliance may not be shutting off at its set temperature. The job of the temperature-pressure (TP) relief valve is to release excessive pressure from steam buildup, but this valve may have been improperly installed, or it may be faulty. Either way, this condition can be dangerous, both because hot water and steam can scald people and because the water heater could rupture. Turn down the water heater’s temperature and allow the water to cool, then replace the water heater’s pressure relief valve. If your water has a strange odor, first determine whether the problem is with the source water or the water heater. If the problem is with both the hot and the cold water, or if only the cold water smells, the problem is more likely with your source water. Iron, copper, and other minerals can cause discoloration in water. To solve these kinds of issues, consider installing a whole house water filter and/or a water softener. If the problem is only with the hot water, in most cases the odor is caused by a reaction between the hot water heater’s anode rod and water that has a high concentration of sulfates. 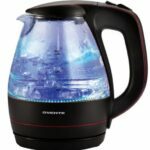 Let the hot water run for two or three minutes. If it smells a bit like rotten eggs, you can try flushing the hot water heater tank (see How to Flush a Water Heater). If this doesn’t solve the problem, the anode rod may need replacement. 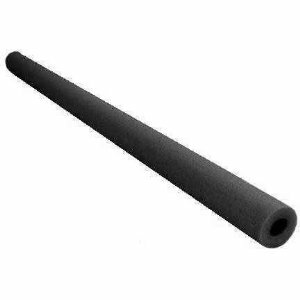 A flexible anode rod, available through Amazon, is easier than a long, rigid one to insert into a water heater if there is limited space above the tank. If you need help, call a water heater repair person. If you smell a garlic-like scent, the pilot light may have gone out. Turn the gas valve control to OFF (you may have to push down to turn it). Wait until the gas smell has dissipated before relighting the pilot light. If the gas smell is strong and doesn’t dissipate, immediately turn off the gas supply valve, ventilate the space, and call a plumber or your gas utility company from a remote location. Noises coming from a water heater can be caused by expanding and contracting metal parts; drips; or, more likely, minerals and hard water scale accumulations inside the tank or on an electric water heater’s heating elements. When heated, dissolved hard water minerals recrystallize and form scale that cakes onto interior surfaces, making the water heater less efficient and more likely to fail. To minimize corrosive minerals through ionization, water heaters have a magnesium or aluminum anode rod (as discussed above), inserted through the top of the tank. To avoid scale in the first place, every few months flush out the water heater tank. These sounds are caused by the buildup of hard water sediment heating up and exploding inside the tank. You can flush out the tank yourself, although by the time you’re hearing this sound the sediment chunks may be too large to pass through the drain valve. 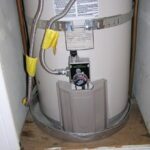 For more, please see How to Flush or Drain a Water Heater. If you have an electric water heater, these sounds could indicate a buildup of scale on your heating elements; it may be time to replace these. If water sounds like it is boiling inside the tank, this could indicate overheating and a dangerous pressure buildup. Call a service professional immediately. Foam pipe insulation can prevent heat loss through hot-water pipes. Buy on Amazon. • Check the water heater’s temperature setting. Set the temperature control to about 150 degrees F. or lower if you have no dishwasher or if you have small children or elderly people in the home who might scald themselves. • Insulate hot water pipes. To minimize the energy it takes to heat the water, insulate your water pipes if they run a long way from your heater to your faucets. 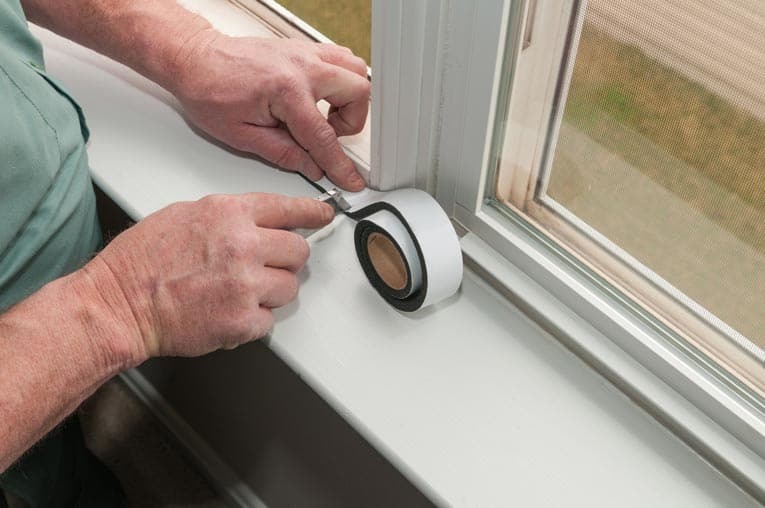 If you can gain access to your hot-water pipes, from the basement, for example, put foam water pipe insulation sleeves onto them to minimize heat loss.